Every July the active fishing fleet gathers in the thoroughfare to be anointed with holy water for good luck in the working season. It's the kind island tradition that exemplifies North Haven's lineage and communal fabric which makes it the kind of place that draw's people in year after year. 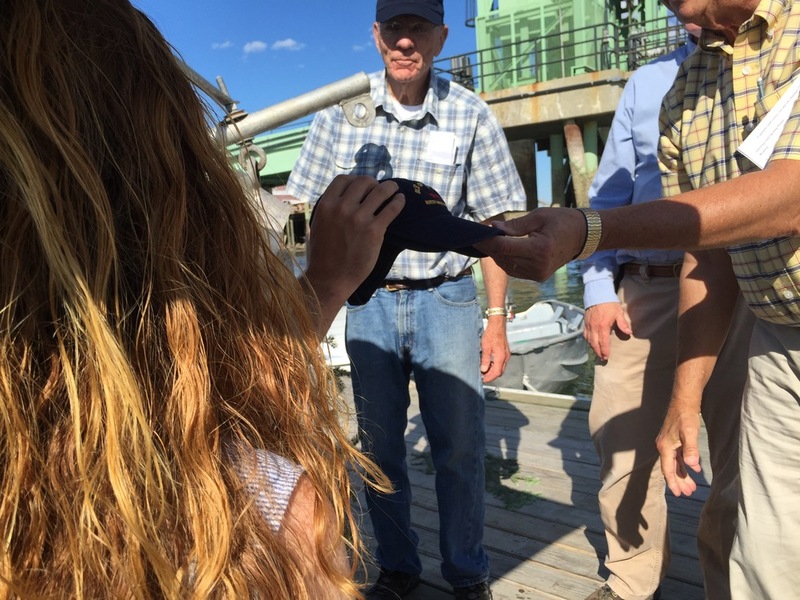 The fleet honors the oldest working fisherman (who hasn't already been honored) and that person gives a little speech on the ferry landing. This year it was our own Foy Brown Sr., gracious and deadpan as always, his words ended with a joke about death that had the crowd in a nervous giggle. Each boat then gets called in to the town float by name to be blessed by three old men with a fir bough dunked in holy water. 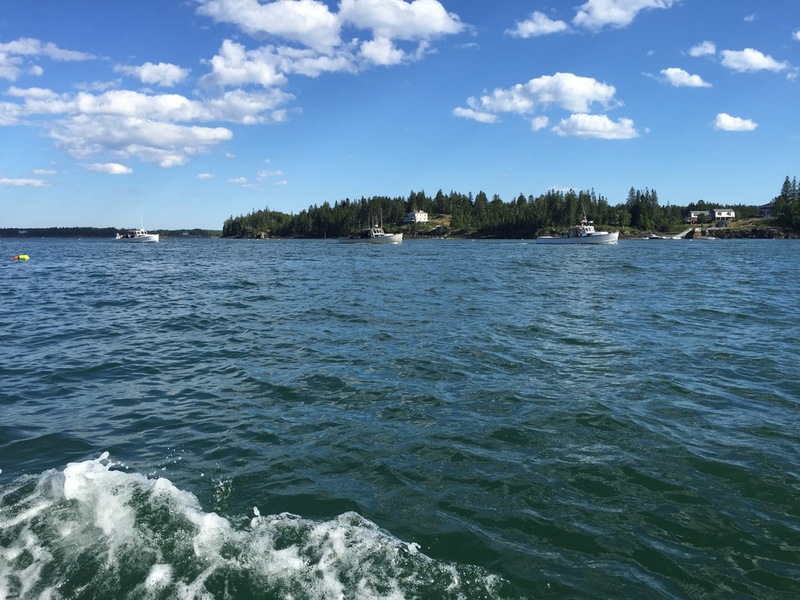 When the boats have been blessed and each captain and sternman wished good fishing by the old men, the entire fleet gathers out by marker 16 and parades single-file up the thoroughfare. The parade is a spectacle of solidarity between boats; each craft and her captain and crew marching together in the waters that they collectively rely on for their livelihood. This writer fought a hangover to ride along in Windfall with captain Jesse Davisson and company for a water level view of the event. 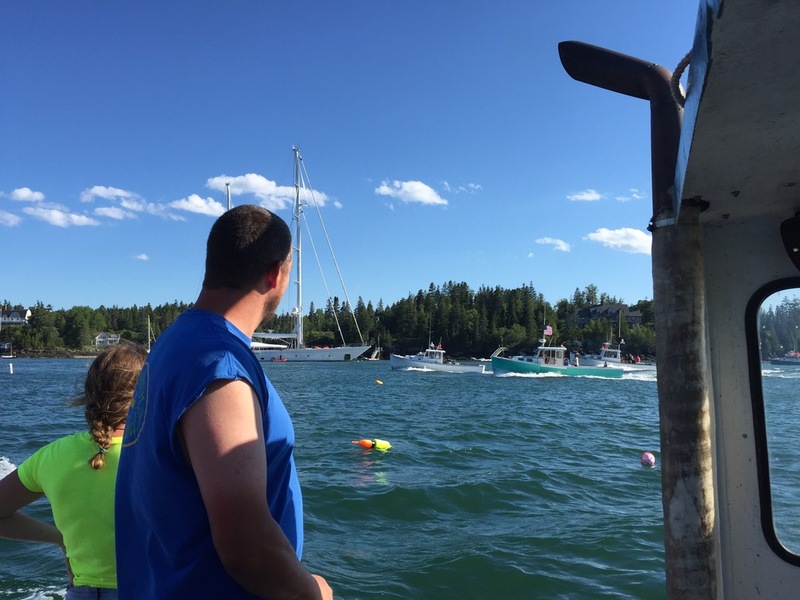 While the heads of ceremony are calling up the boats the rest of the fleet mills about in the mooring field, mingling and visiting and hanging out. This dance of social boats is a subtle, unposed display of mastery of craft in which captains hold their boats side by side to trade beers and shoot the breeze, it is a true measure of the fleet's camaraderie. When a boat is called they dock themselves at the float and shake hands with the heads of ceremony who offer their blessings and matching caps. The parade is a mellow cruise under a sinking sun and is followed by an unofficial race back to the starting point. Not all the boats participate in the race, but it offers a glimpse into the competition that underlines the communal aspects of the fishing fleet. Each captain is fishing with their neighbors to be sure, but they are also fishing against them. Such is the dichotomy of common resources, the mutual desire to protect and conserve, the shared experiences and struggles of working the sea, and the reality that each boat is after the same fish. The competition is friendly, but very much present. Luckily the 16 year olds with outboard set-ups beat all the big fellas handily, so nobody could take the race all that seriously. 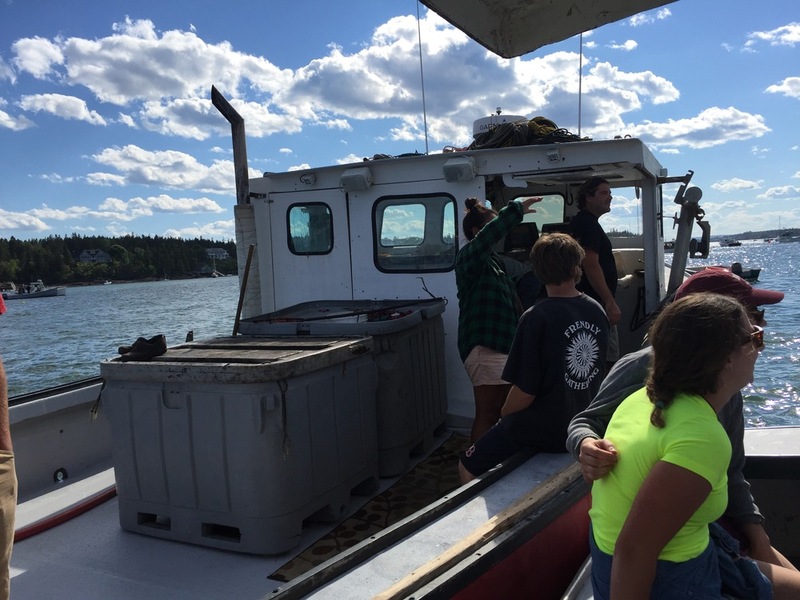 The evening ended with more than a few of the boats heading out towards Crabtree Point for a sunset cruise with family and friends, taking the occasion to remind themselves that it is a blessing in itself to work on the sea in such a place as the Penobscot Bay. Check out our FaceBook page too!